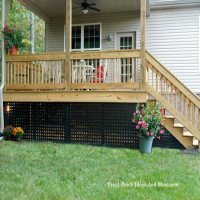 Vinyl lattice porch skirting not only lasts a really long time but also can be custom made to enhance the look of your porch or deck. 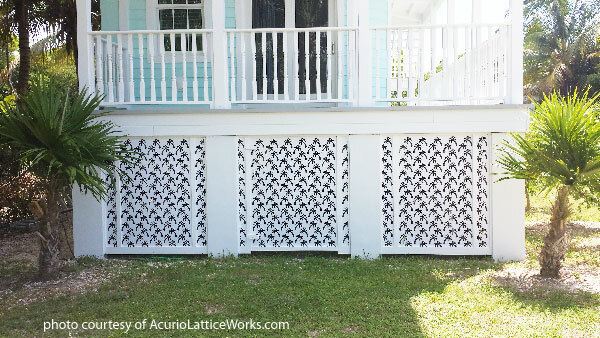 Our guest, Marc McAvoy, CEO of Acurio Latticeworks, explains the benefits of using high-quality vinyl lattice panels to create curb appeal and extend the life of your skirting. 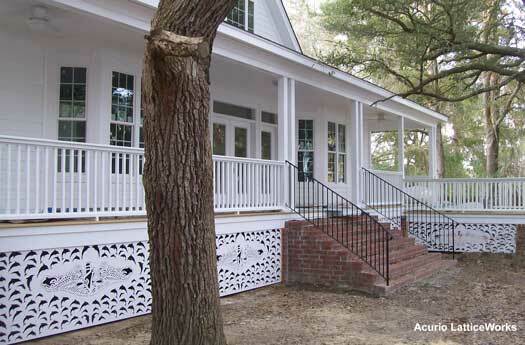 Find out the added benefits of high-quality PVC lattice porch skirting. Discover what colors work best for outdoor use. 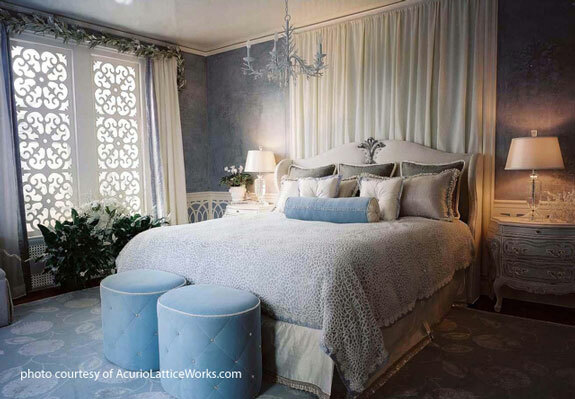 Find out how to use lattice panels for privacy or as decorative window treatments. 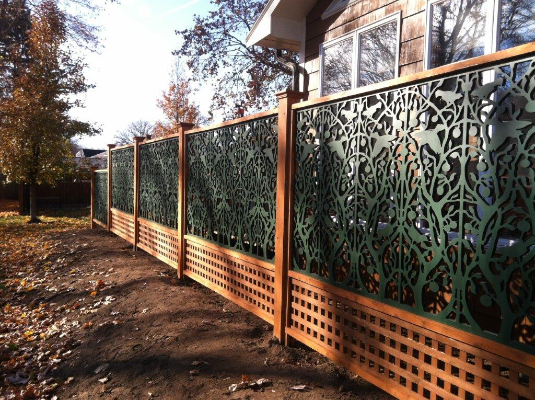 Create an amazing vinyl lattice fence design like no other. 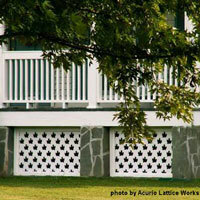 Learn the most favorite colors and designs for lattice porch skirting. Discover how you can create custom vinyl panels. 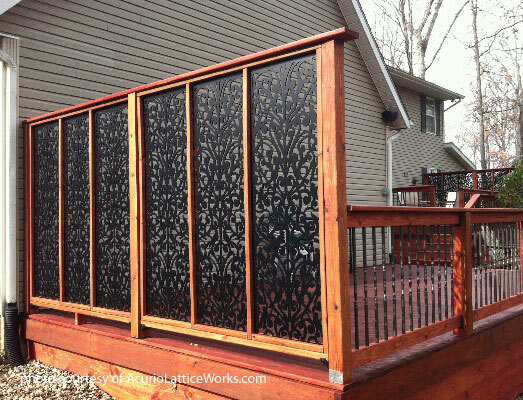 "If you put up wood lattice, we all know what happens, it is going to fall apart and look terrible. Vinyl, on the other hand, does not fall apart, so that is one of main reasons to choose vinyl over the traditional wood lattice. 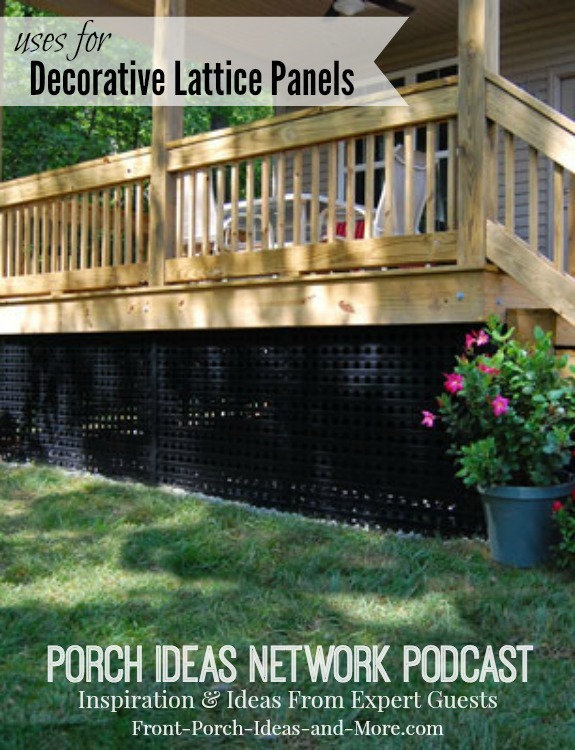 If you want more durability, longer lifespan of the vinyl lattice to put on your house, go with our lattice." "Commodity lattice (like what is available at the home supply stores) is made out of cheap polyethylene, polypropylene, same thing as milk jugs and milk jugs are cheap. Commodity lattice is made out of cheap material and will warp, will bow, and will not last that long. But if you want to make an investment in your home and you want something that's going to last, without having to replace it every few years, then choose a quality lattice." 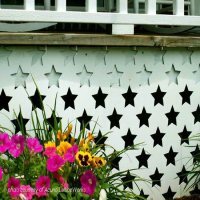 "One of things you can do with our product is use black because it is a high grade PVC. And it goes well with traditional wood applications where you have wood porch, wood fences; black contrasts with wood and matches wood, like a brown wood, really well. It's a good complement to the wood and that's another advantage." "Obviously white and black are the most popular colors, but we also have a beige, a grey and a light grey; those are the most colors we use for outside. We also have blue, yellow, red, and green which you really don't want to those outside because there are fading issues with those colors and even with the grey and beige may have fading over time. But those colors are great for inside." "What do you do with the underside of your porch; most people do nothing and want to conceal it. You can use brick but that is expensive and that's kind of the genesis of lattice. It covers a lot of square feet, it's attractive, you can cover up the space and still have good air flow going under that area." Be sure to visit our Podcast Directory to hear more of our audio programs with leading experts.